A major survey exhibition of painting, photography and film by leading Australian artist David Griggs will open at Redland Art Gallery, Cleveland on Friday 20 July. The exhibition – Between Nature and Sin – showcases a decade of past works and incorporates the premiere of the artists’ first feature film, Cowboy Country. Image: David Griggs, Frat of the Obese 14 (detail) 2011, synthetic polymer paint on canvas. Courtesy of the artist and Roslyn Oxley9 Gallery, Sydney. David Griggs explores the darker undercurrents of human existence. His work, predominantly portraiture, focuses on the human condition; drawing on political imagery, underground media, local histories and personal experience. Famous for his bold approach, Griggs exposes the raw underbelly of society. His work is often collaborative, engaging directly with communities while remaining sensitive to the ethical and moral obligations this demands. 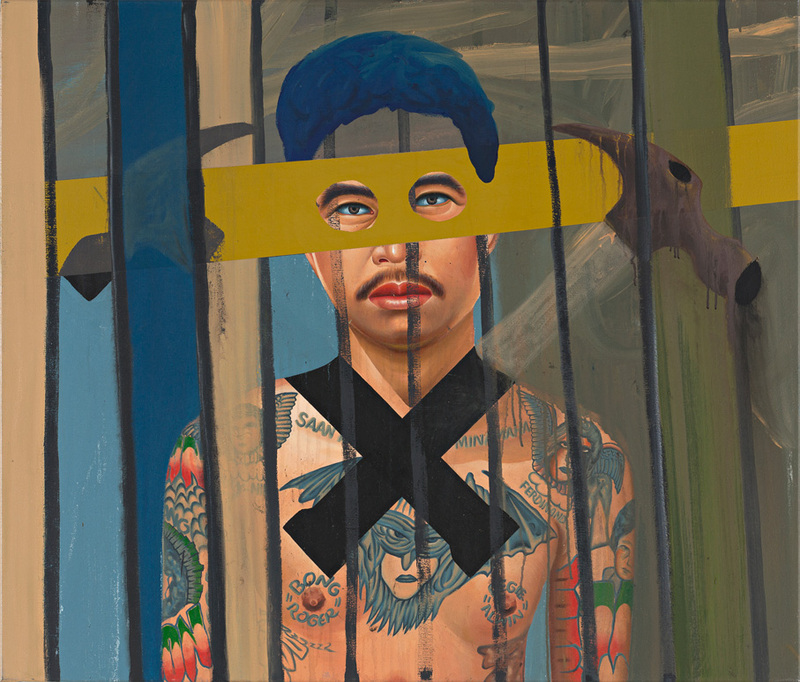 For the last 10 years Griggs has resided in the Philippines and created a significant body of work that reveals the social hierarchies and underground culture of his adopted home. Exhibition Curator Megan Monte said that Manila had challenged, broken and rebuilt Griggs in countless ways, as had his collaborations. “This is encapsulated in the series of work presented in Between Nature and Sin, Griggs’ most ambitious and challenging project to date,’ Ms Monte said. David Griggs’ examination of the issues that affect the Philippines continues in his first major feature film Cowboy Country. Produced collaboratively with the community and set in a fishing village on a remote Philippines island, Cowboy Country follows the story of a kidnapped American Filipino teenager being held captive for ransom. The film features leading Filipino actors Soliman Cruz, the late Dante Perez and Melanie Tejano. Join us, and hear from artist David Griggs, at the exhibition opening event. More information can be found on the Redland Art Gallery website.